Revenue at the low-cost airline has stalled, plunging the group to a heavy third-quarter loss. The shares, however, are up smartly. Investors are relieved that guidance is unchanged. But they are putting a lot of faith in the company’s new strategy to be nice to its customers. Ryanair, Europe’s largest low-cost carrier, has confirmed its profit targets for the year ending March 2014. 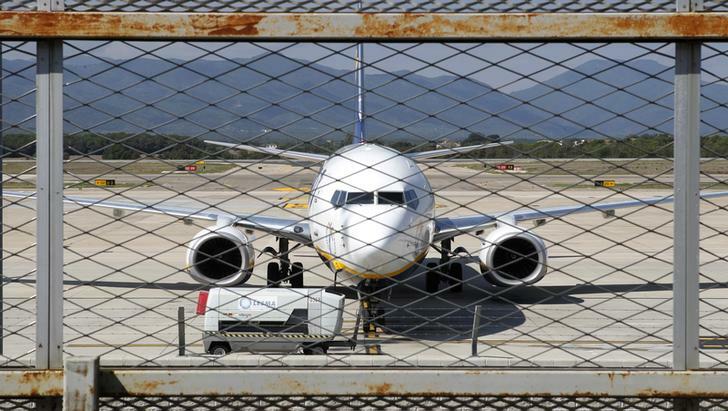 The airline, which issued two profit warnings in 2013, said it expects to report net profit of 500 to 520 million euros after 569 million euros a year earlier. Shares rose by 5.8 percent to 6.68 euros in morning trading on Feb. 3. In the third quarter ending in December, passenger numbers rose 6 percent to 18.3 million. Revenue dropped 0.5 percent to 964 million euros, and that led to a net loss of 35.2 million euros. A year earlier, the carrier had earned a net profit of 18.1 million euros.